(1) Turbografx 16 Console - Visible surface scratches on top of the console with a few scuff marks. Has some visible wear and tear from normal usage and enjoyment. I noticed when testing if you jiggle the RF Switch during gameplay the screen becomes fuzzy. If you don't make any movements during gameplay everything is fine. The library of Turbografx games are great, but I'd recommend being a fan of retro shmups. 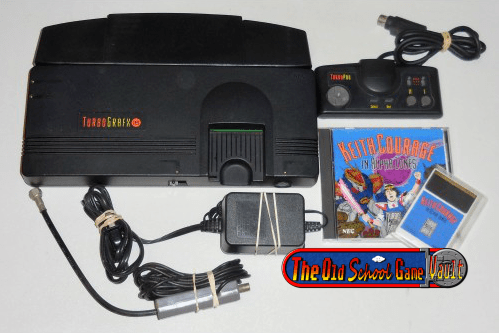 The turbografx is all about the shooters, top-down and side-scrolling fun.